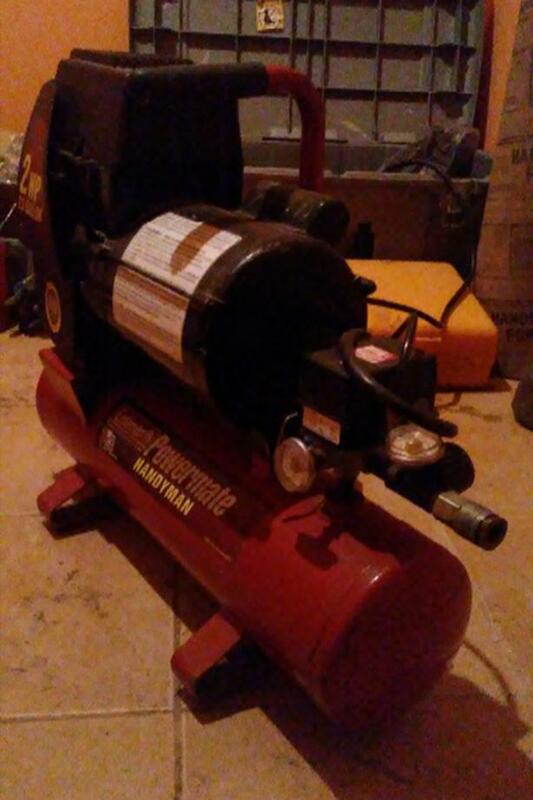 Great working good condition 2 horsepower 2.5 gallon tank. 4+ cfm is ideal for framing nailer and all powerful air tools. It has not been used very much, no rust, horizontal "hot dog" tank.